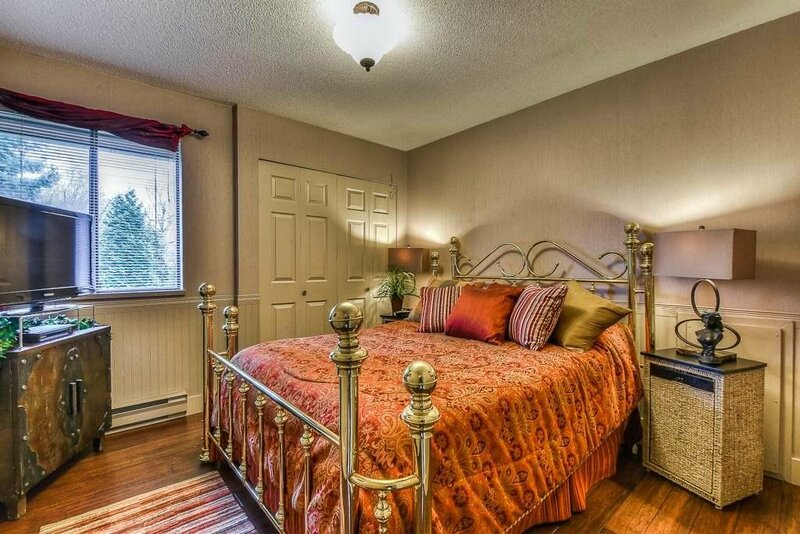 This Country Woods house situated on a private, beautifully landscaped 1 acre GD lot has been professionally decorated! 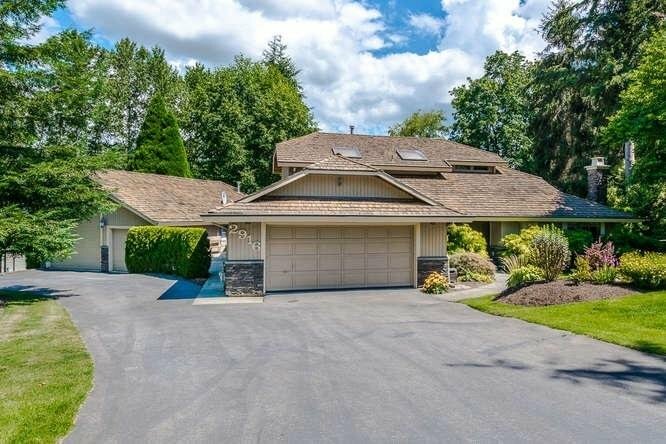 It has a huge 1000 sq ft detached garage, perfect for car enthusiast or park your 40 FT motor home, in addition to 2 car garage parking. 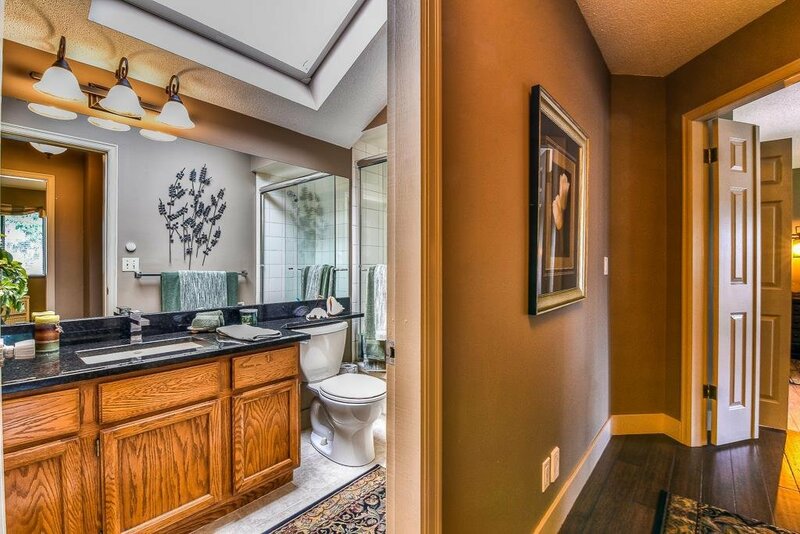 Recent updates to the house feature bamboo hardwood flooring, new sinks, faucets, toilets, appliances and granite counter tops. 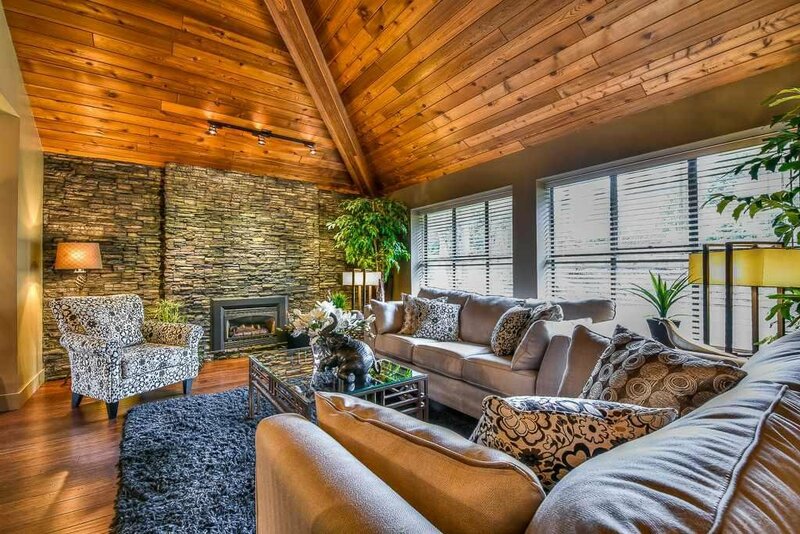 Living room w/ vaulted ceiling has a feature wall and a stacked stone gas fireplace. 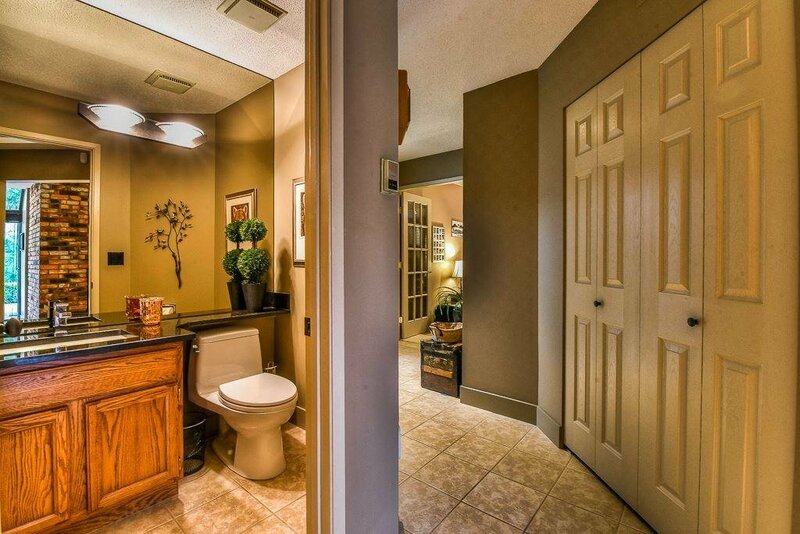 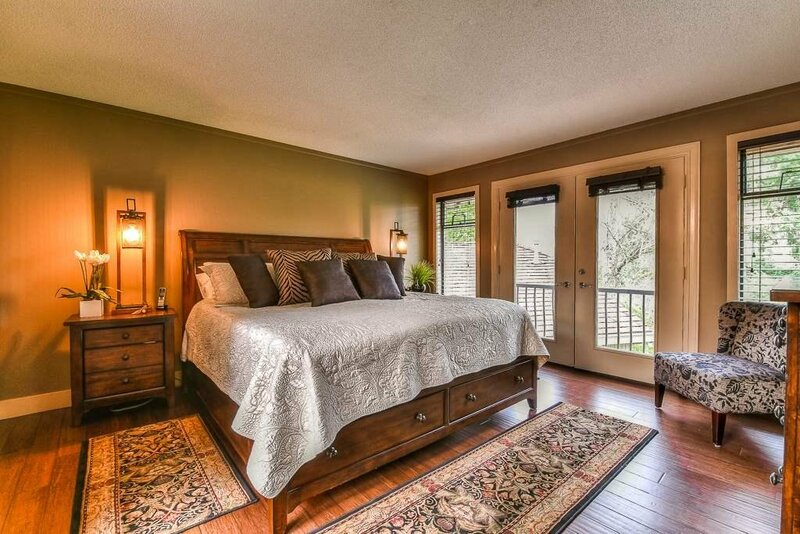 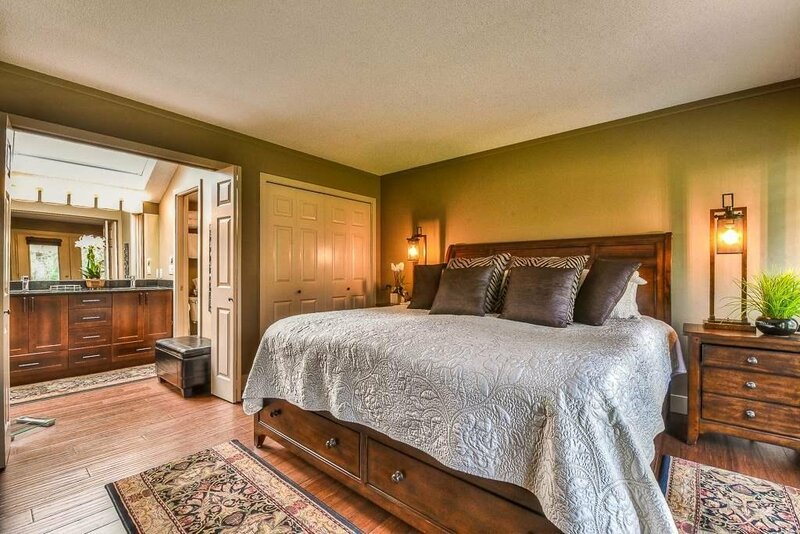 Master bedroom features a new 4 pcs bathroom that overlooks the backyard. 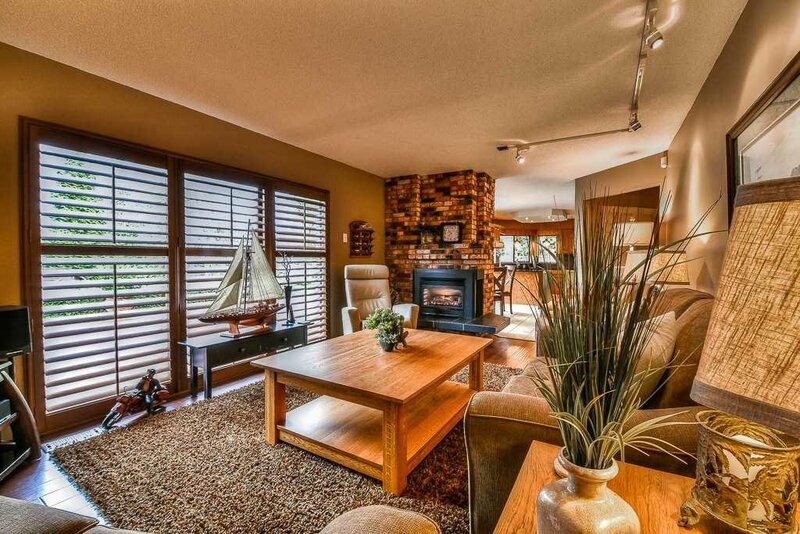 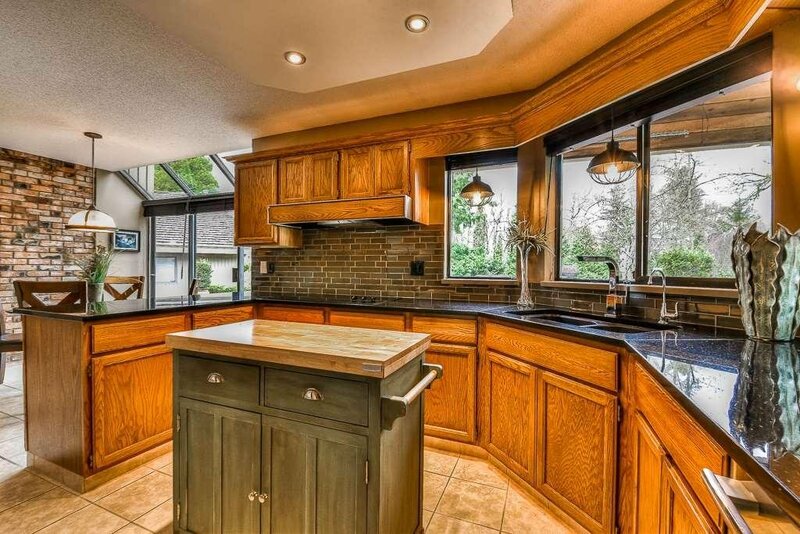 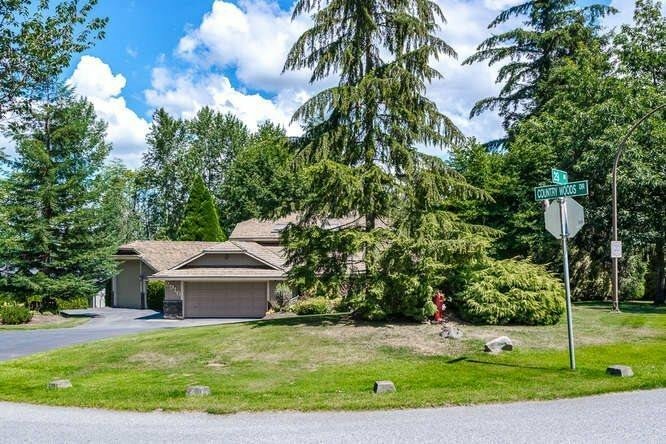 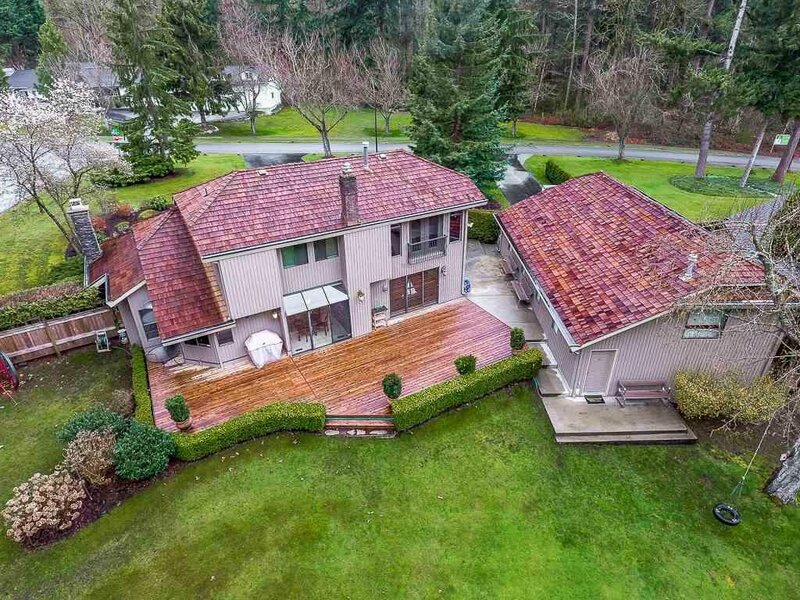 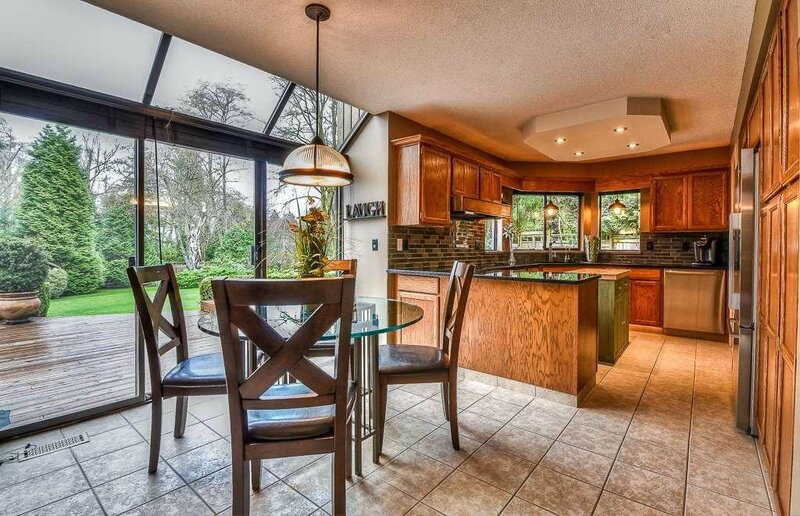 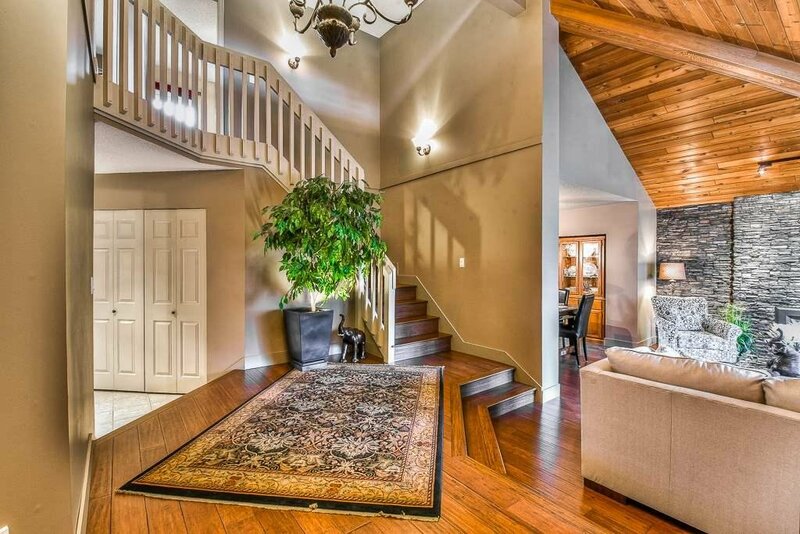 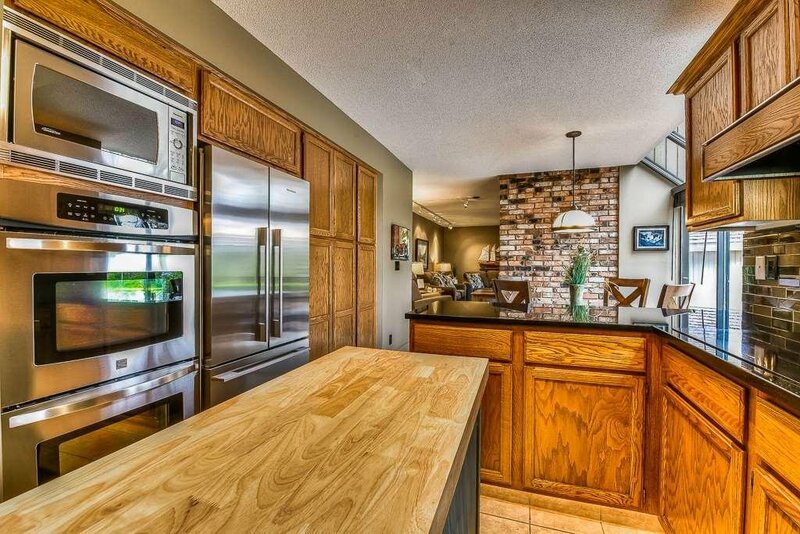 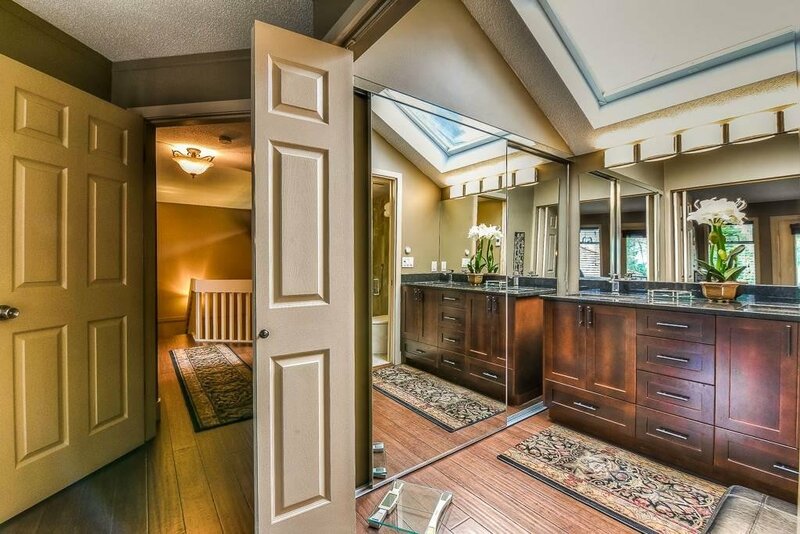 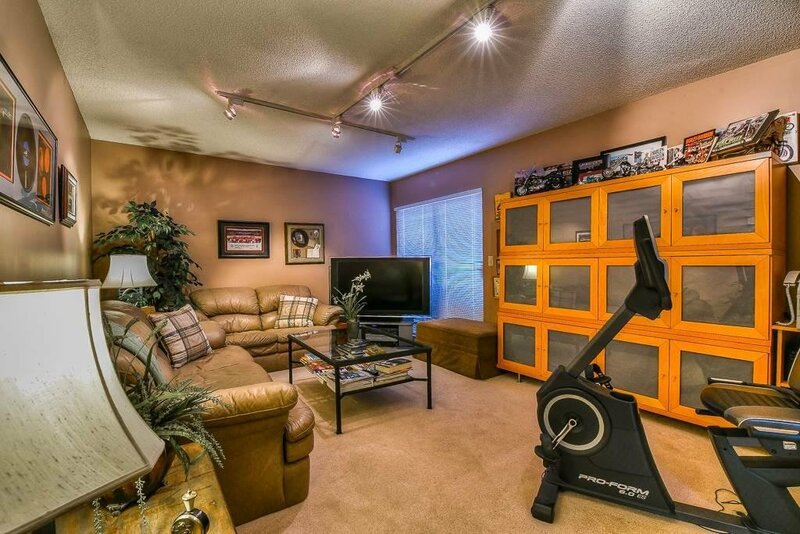 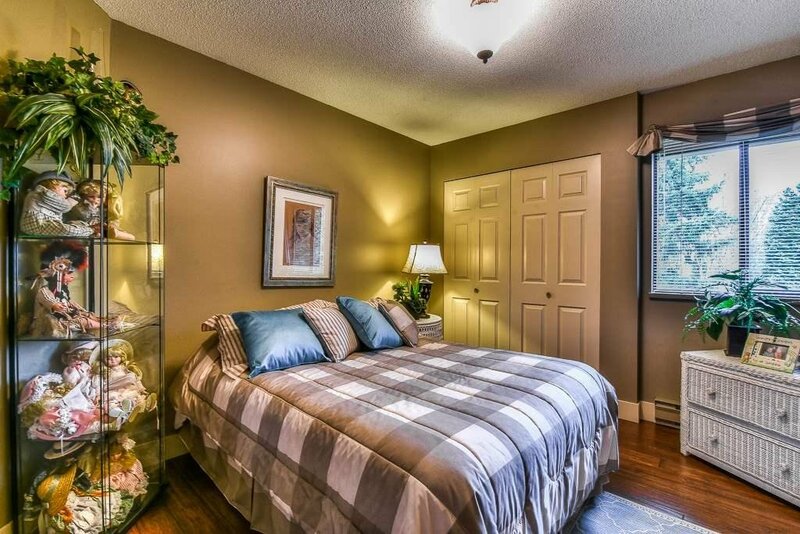 Close to shopping in South Surrey, Cloverdale, Langley; close to US border.